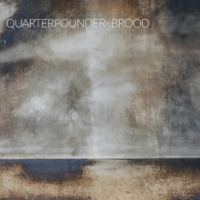 Bassist/writer Mathias Wedeken founded Quarterpounder in 2011. Based in Copenhagen, one of Europe's leading jazz centers, with an impressive range of studios and sound engineers, the band is notable for its front line of trombone and tenor saxophone, a combination that leads to some delightful harmonic partnerships underpinned by tight, tough, bass and drums. 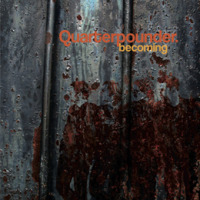 becoming is Quarterpounder's debut release and features eight tunes written by Wedeken. The bassist's fellow musicians form a hard-hitting and high-energy trio, well-suited to the demands of his compositions. Petter Hängsel's rasping trombone and Anders Bast's assertive tenor saxophone complement each other well, while Wedeken's bass and Rasmus Lund's drums make a formidable rhythm section. Wedeken has a nice line in funky, driving, rhythms"D'isms," inspired by his interpretation of some of Dave Holland's stylistic touches, is an obvious example as is the lowdown groove of "Hey Patrick, Nice Tan!" He also makes good use of shifts in time signature and dynamics to create tunes such as "Another Boring Day At The Institute" and "Pension Ingeborg," that change pace and mood seamlessly. "If It Was..." shows Quarterpounder's more sensitive side: a languid, mournful, tune that sounds ready-made for a film noir soundtrack. Its mood is heightened by Bast's bass clarinet, which melds beautifully with Hängsel's trombone. "In Defense Of Beauty" is another down-tempo number, but one with a laidback, relaxed and rather cheering vibe created largely by Bast's gently flowing tenor solo. The album's most leftfield tuneand one of its most likeableis "Dynamite Superstar," a duet between Wedeken's arco bass and Bast's tenor saxophone. The tune's downbeat beauty, like that of "If It Was...," highlights the players' sensitivity and contrasts neatly with Quarterpounder's funkier tunes. becoming is available as a download or on vinyl, but not on CD. The vinyl version is well-packaged and has great sound, serving as yet another reminder of the attraction of the 12" recording. This is a band with an awareness of the music's past, as well as a sound that bodes well for its future. Track Listing: D'isms; Another Boring Day At The Institute; If It Was...; Pension Ingeborg; Beleagured; In Defense Of Beauty; Hey Patrick, Nice Tan! ; Dynamite Superstar. Personnel: Petter Hängsel: trombone; Anders Bast: tenor saxophone, bass clarinet; Mathias Wedeken: double bass; Rasmus Lund: drums.